People come to Puerto Rico to do anything and everything - whether that be relaxing, exploring, learning or surfing. The best places to stay in Puerto Rico perfectly reflect this diversity of travellers, with a wide range of properties from luxury beach resorts to chic city B&Bs. A U.S. Commonwealth territory, Puerto Rico was one of the earliest sources of Caribbean island daydreams. Bigger than its neighbours, so a bit easier to travel to, Puerto Rico has the beautiful stretches of white sand, tropical interior and a dramatic colonial history that gives it kick as well as colour. Puerto Rico has some of the Caribbean's wettest and driest forests, which are home to some of the world's rarest birdlife. But it's also got San Juan, a congested capital of condos, casinos and beautiful colonial architecture - which is actually one of the oldest European-founded settlements in the Americas. One of the glories of Puerto Rico's cities, towns and villages is their Puerto Rican-ness in the face of an invasion of the high street stalwarts of mainland America. This country has seen Spanish invasion, dramatic revolutionaries, the growth of the free market and plenty of cannon fire. Yet despite this, its own colours still shine through the layers of invader cultures. Of course most people are here for the beaches. A number for the incredible surfing conditions, some for the golf, or horseback riding, and some for the diving and snorkelling on Puerto Rico's impressive coral reefs. Wander around Old San Juan, a collection of over 400 restored buildings dating from the 16th and 17th century Spanish colonial period. Wonderfully historic. Whilst the island is surrounded by wonderful beaches, we'd recommend in particular the idyllic Flamenco Beach, on the northwest of the island, with its long, white sweeps of sand and turquoise waters. History lovers will enjoy visiting both Castillo San Felipe del Morro and Castillo de San Cristobal, the latter of which is the largest set of fortifications that the Spanish built in the New World. Head off hiking through the 28,000 acre El Yunque Rainforest. A wonderfully biodiverse spot, it's home to a wide variety of wildlife, over 400 plant species and a number of waterfalls. One of the great, often unexpected sights of Puerto Rico are the bioluminescent bays, which glow wonderfully at night - best seen by kayak on a moonlit night. The Hotel Guru's picks of the best places to stay in Puerto Rico offer something for everyone, whether you're here to soak up the culture in San Juan's old town or to explore one of its lesser-known islands (Culebra and Vieques to name but two) off the eastern coast. 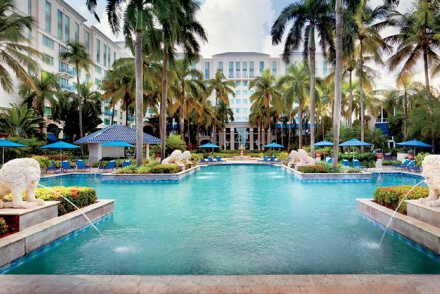 The Ritz Carlton Puerto Rico in San Juan offers five star luxury right on the beach. There are also resort style facilities, like pools and tennis courts as well as several restaurants and bars. 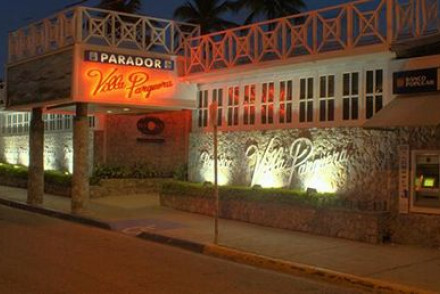 Certainly one of the best places to stay in Puerto Rico if you want to do San Juan in style. 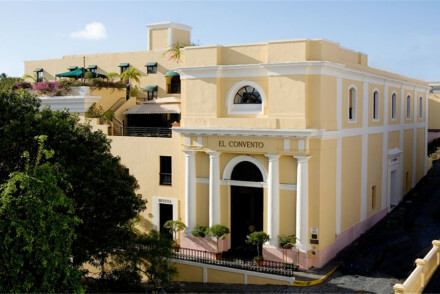 El Convento is one of San Juan's most regal hotels, with opulent, colonial style decor set in a converted palacio in Old San Juan. 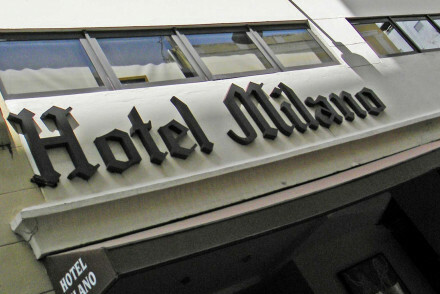 San Juan's Hotel Milano is a charming old hotel offering colourful rooms and a rooftop terrace with spectacular city views. It's also well located for both the main sights, and for the nightlife. And it's very reasonable, so great for groups. 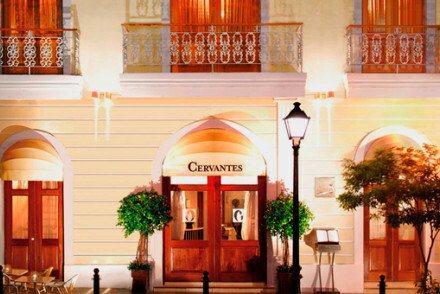 Cervantes Hotel is the ideal spot from which to get to know San Juan. This elegant property boasts tasteful rooms with Puerto Rican artworks as well as top-notch cuisine in the popular restaurant. A delightful stay. Hix island House on peaceful Vieques Island is a square, granite affair with slick decor and outdoor showers surrounded by jungle. Stunning and secluded, these 19 rooms also have their own full kitchens, so you can hideaway from everyone if you so choose. The W Retreat on Vieques Island is a gorgeous, five star, 15 room beach resort with bright, contemporary decor and every activity you could wish for. Including a library and superb Puerto Rican cuisine. The architectural El Blok boasts sleek minimalist accommodation with splashes of colour. Enjoy a drink on the rooftop terrace and traditional cuisine from the restaurant. Club Seabourne also offers tropical island peace, this time on Culebra Island. This collection of 12 rooms and suites is 3kms from the main town, but just a stone's throw from the beach. The hotel itself is surrounded by beautiful tropical gardens and there's a dynamic Caribbean restaurant. 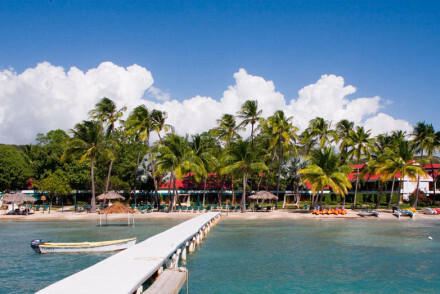 Copamarina Beach Resort on the island's south coast is a beautiful, mid-size beach resort. It's large enough to have two outdoor pools, a spa and gym and its own watersports centre. But it's small enough to feel friendly, and it's great for kids. Parador Villa Parguera is a friendly, good value, beachside hotel with classic Caribbean features like bamboo furniture and sea-views, in a laid-back spot on the island's south coast. The 74 rooms start from just £59 per night. 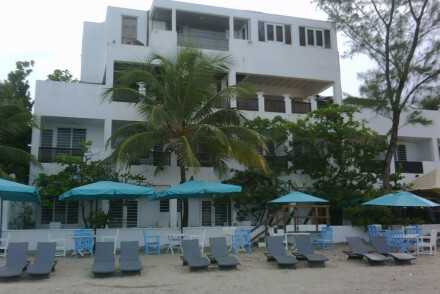 La Jamaca is charming spot, offering simple and comfortable accommodation just a short distance from the beach. Relax by the outdoor pool and enjoy a tipple from the bar. Rooms from just £57 per night. Blue Horizon Boutique Hotel features characterful, Caribbean-style accommodation with mahogany four posters and plenty of colour on the walls. 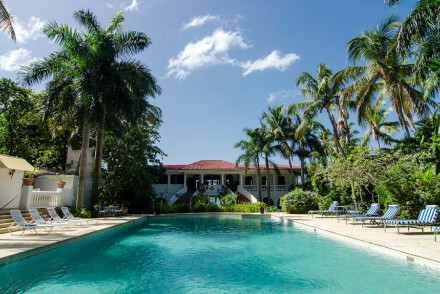 Plus there's a pool, spoiling spa and tennis courts, and a lovely restaurant serving up Caribbean specialities. 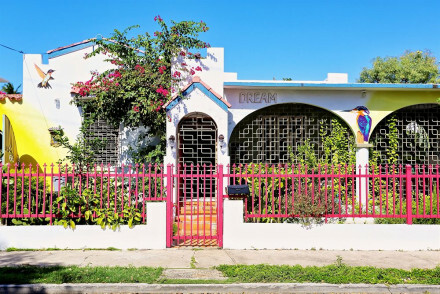 The Dreamcatcher Guest House is an eclectic property close to the coast in San Juan. Rooms are filled with vintage treasures, the terraces are hung with hammocks and there's yoga classes on site. It's also very friendly and great value, starting from only £49 per night. 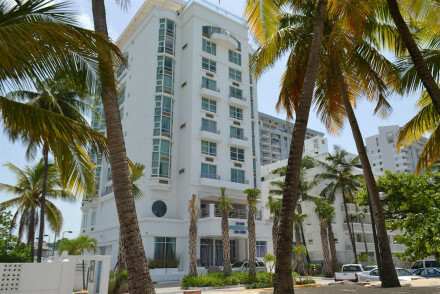 The Canario Boutique Hotel is also close to the beach in San Juan. 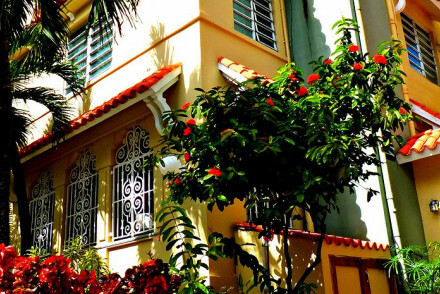 An intimate B&B with simple, Spanish style rooms, the Canario is also close to all San Juan's main attractions. If you're looking for a reasonably priced rural escape, then try the Hacienda Gripinas, a charming hotel in the mountains which has been converted from an old coffee plantation. Rooms start from £55 per night. 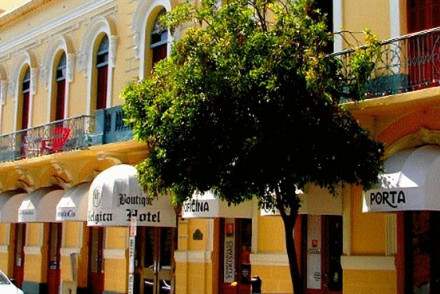 Located in Ponce's old town, Hotel Belgica is a charming stay boasting traditional accommodation from £58 a night. Wildflowers Guest House offers eight large rooms with dark wood furniture and private balconiesm some with their own kitchen. Spend your days exploring Mayagüez or head over to the beach. Hosteria del Mar in San Juan offers Balinese-style accommodation right by the beach, with large self-catering apartments available, which are ideal for families. 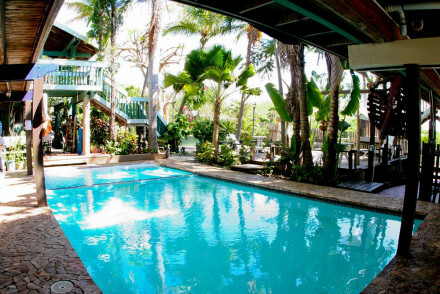 Located on the edge of El Yunque National Forest, Hacienda Moyano is another top choice. Whilst the accommodation is fairly basic, it features four self-catering apartments, an outdoor pool and a lovely garden. Crow's Nest is a rural B&B boasting basic rooms with full kitchens and an outdoor pool. The beach is just a short distance away, and there are plenty of activities on offer locally to keep the whole family entertained. 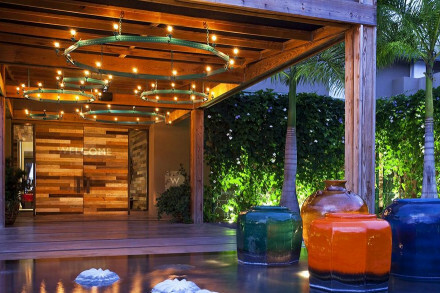 Set within an historic mansion in the heart of Old San Juan, The Gallery Inn oozes charm. The rooms are filled with antiques, tapestries and four posters, whilst there's also an outdoor pool as well as picturesque, leafy courtyards and a roof terrace. Tuck into superb tapas in their gorgeous dining room. If you're looking for something more modern then Water Beach Club on San Juan's beach is a great option. Their swish rooms feature minimalist furniture with splashes of colour, plus there's also a rooftop pool and direct beach access.. Located right by the lagoon, the adults-only Olive Boutique Hotel boasts incredibly atmospheric rooms with dark wooden furniture and spa showers. This 5* spot also has a spa and a plunge pool, whilst you can enjoy scrumptious pan-Mediterranean dishes in the restaurant. Horned Dorset Primavera is a dreamy stay, featuring tasteful rooms in cream with mahogany furniture and with their own private pools. This upmarket property also boasts a spa and a wonderful restaurant - what more could you ask for? If you've decided that you'd prefer the privacy of a self-catering option then browse through the wide variety available online with our partner, Booking.com. Puerto Rico is a good year round destination. However it can be fairly rainy in the summer months, and hurricane season runs from June to the end of October. Winters are also usually pretty busy and expensive, with many tourists flocking to the island for the sunshine, so the best time to visit is from mid-April to June. Most international visitors fly into the Luis Muñoz Marín Airport located in San Juan. However, there's also the Eugenio María de Hostos Airport in Mayaguëz and the Antonio Rivera Rodríguez Airport in Vieques. From the airport, the best option is to hop in a cab towards your final destination. Be warned though that Hurricane Maria caused widespread destruction of the island's infrastructure, so getting around might be tricky..
Browse through our list of all the best places to stay in Puerto Rico. Alternatively, widen the net by checking out all our Caribbean recommendations. Or, contact one of our friendly Gurus for advice. Contemporary hotel. Rooms have wooden beam ceilings, modern furnishings and large bathrooms. Outdoor pool, garden and terrace. Great regional small dishes from restaurant, and low-key bar. Perfect base to explore the beaches from. 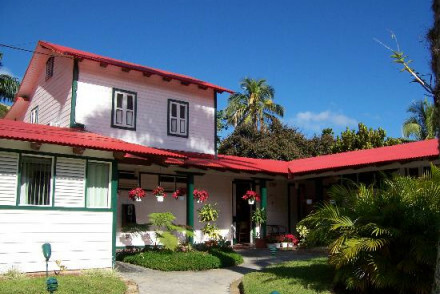 Family owned, charming city B&B in the heart of Ponce's historic district. Elegant rooms have tiled floors and wrought iron furniture, some with balconies. Excellent location and value. 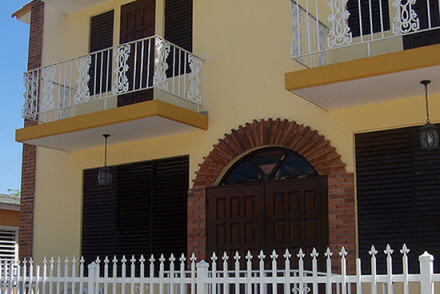 Welcoming guesthouse in Mayagüez. Large rooms have dark wood furniture, private bathrooms, balconies and some kitchen facilities. Great base for exploring the surrounding area as well as the beaches. A good value choice for younger groups. Eclectic guesthouse close to the beach. Rooms are filled with vintage furnishings, hammocks and terraces. Yoga and meditation classes held in hotel; excellent vegetarian breakfasts. Bohemian, friendly and laid-back. Charming hacienda in the mountains. Rooms are elegant with antiques, wooden floors and large verandahs. Outdoor pool, manicured lawns, terrace. Vintage decor in the restaurant, serving excellent regional dishes. Secluded, historic and friendly. Intimate B&B close to the beach. Simple rooms have Spanish style furniture and large bathrooms. Sit out terrace and elegant lobby lounge. Excellent value and location. Charming hotel in old town. Rooms feature colourful prints and tiled bathrooms. Rooftop terrace with city views. Good international cuisine in the restaurant. Great choice for younger groups to explore the city. Excellent value for money. Friendly beach side hotel. Rooms have sea-facing balconies, colourful prints and bamboo furniture. Outdoor pool, terrace, direct beach access. Laid back international cuisine in restaurant, outside bar. Relaxed, and a lovely choice for a great value seaside weekend. Family friendly hotel on the beach. Spacious rooms have Balinese furniture, large bathrooms and some open right onto the sand. Great international cuisine at the beachfront hotel. Laid back atmosphere with plenty of attractions close by. Apartments are ideal for families. Beautiful resort on the beach. 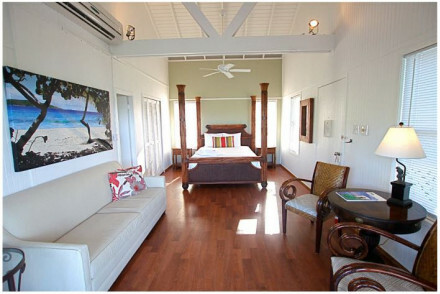 Large rooms have plantation style shutters, bamboo furniture and verandahs. Two outdoor pools, gym, spa and water sports centre. Sublime Puerto Rican nouvelle cuisine and friendly beach bar. Low-key, idyllic and family friendly. Diving - At the Wall at Playa Santa, a continental shelf dropping more than 1,500 feet. Elegant city hotel. The contemporary rooms are in cream, with Puerto Rican artworks and lovely balconies. Outstanding gourmet menu in the popular restaurant. Chic, boutique and intimate. 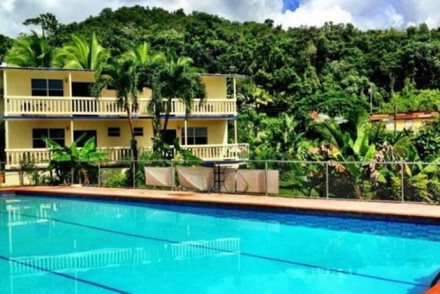 Friendly self-catering apartments on the edge of the El Yunque National Forest. Rooms have tiled floors, colourful furnishings and modern kitchens. Outdoor pool and seating areas, garden and sun terrace. Ideal for groups, and a real sense of seclusion within the beautiful park. Granite hotel within tropical trees on Vieques Island. Rooms are contemporary with slick lines, chic bathrooms, full kitchens and outdoor showers. Outdoor pool, yoga terrace and abundance of lush jungle surrounds. Stunning, intimate and secluded. Boutique hotel within historic mansion. Rooms are filled with antiques, tapestries, four poster beds and artworks. Outdoor pool, leafy courtyards and roof terrace. Superb Tapas cuisine in opulent dining room. Quirky and full of character with excellent service. Contemporary hotel on the beach. Rooms have minimalist furniture, enormous windows and ipod docks. Roof terrace with outdoor pool. Gym and direct beach access. Excellent modern Spanish cuisine, trendy cocktail bar. Modern, chic and perfect for younger couples. Charming rural B&B with fabulous views. Rooms have wooden shutters, colourful lounges, and full kitchens. Outdoor pool and terraces surrounded by pink bougainvillea. Family-friendly, secluded and good value. Opulent 5* hotel by the lagoon. Elegant rooms have enormous spa showers, sleigh beds and antique touches. Roof terrace, outdoor plunge pool, spa treatments available. Sublime pan-Mediterranean cuisine, atmospheric bar lounge. Grown-up, chic and very romantic. 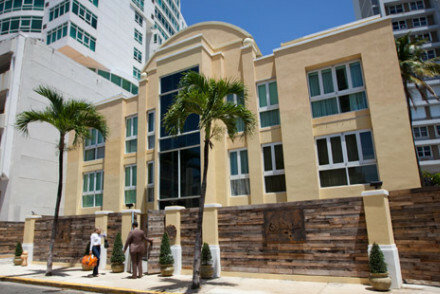 Regal hotel in Old San Juan district. 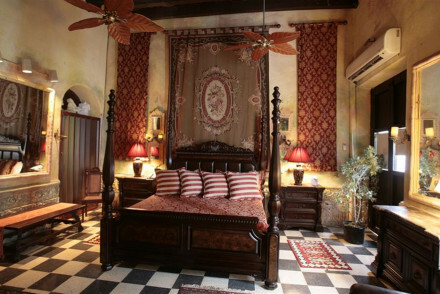 Decor is opulent and colonial with Andalusian floor tiles, mahogany furniture and enormous beds. Outdoor pool, gym, library and sun terrace. Both excellent gourmet and tapas menus, elegant bar. Luxurious, chic and historic. 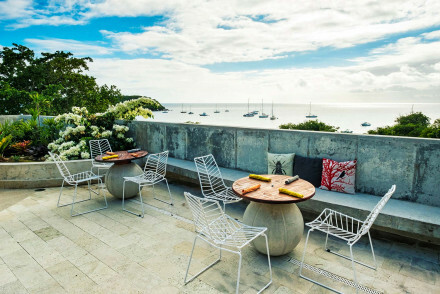 Chic hillside hotel on Culebra Island. Rooms are contemporary with sleigh beds, large private verandahs and white shutters. 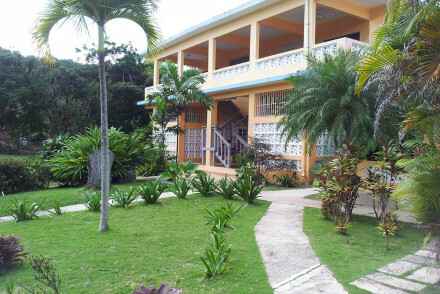 Outdoor pool, enormous tropical gardens, library and massages available. Dynamic Caribbean cuisine in outdoor restaurant. Stylish, quiet and boutique. 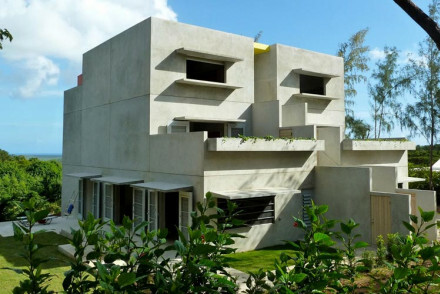 The architectural El Blok is located on the island of Vieques. Boutique, minimalist accommodation with white interiors and splashes of colour in the furnishings. Head up to the rooftop terrace and enjoy a drink at sunset! Lovely Puerto Rican cuisine served. A great stay in a top spot! Total relaxation - Feel utterly rejuvenated at this peaceful island retreat- think 300 thread-count sheets, spectacular sea views and yummy food! Beach Life - El Blok is just a stone's throw from the beach, spend your days lounging on the seashore and sipping on cocktails. Foodies - Feast on some of the island's best food from James Beard Award-nominated chef Jose Enrique. Great walks - Head off hiking all over the island and enjoy some breathtaking views! Luxurious 5* hotel on the beach. Creamy rooms have silk furnishings, marble bathrooms, contemporary furniture. Outdoor pool, beach access, tennis courts, gym, spa and full casino. Outstanding Italian, Tapas and American cuisine; elegant bar. Opulent, exclusive and idyllic. Kids Club - Supervised activities for children from 5-12 years. 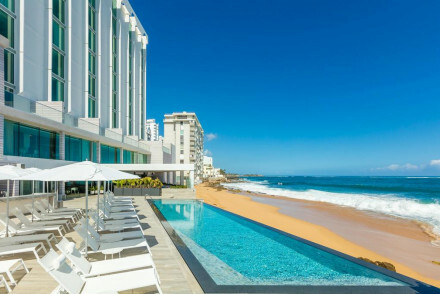 A cool new beach-chic property overlooking Condado Lagoon. Clever use of texture and colour creates a bright nautical feel in the design, add to this huge floor to ceiling windows and you can't get closer to the sea! The restaurant is a local hotspot, as is the elegant pool area and bar. Gorgeous 5* resort on the beach. Decor is contemporary, with muted furnishings and colourful details; enormous bathrooms and sundecks. Outdoor pool, gym, spa, tennis courts, library and private beach. Superb Puerto Rican menu using local grown produce. Luxurious, chic and cool. Opulent beach front hotel. Rooms are decked in creamy marbles, mahogany furniture and private pools; larger suites have kitchens. Outdoor pool, yoga terrace, beach access, gym and spa treatments. Gourmet menu from the glamorous restaurant. Superb service, luxurious and chic.